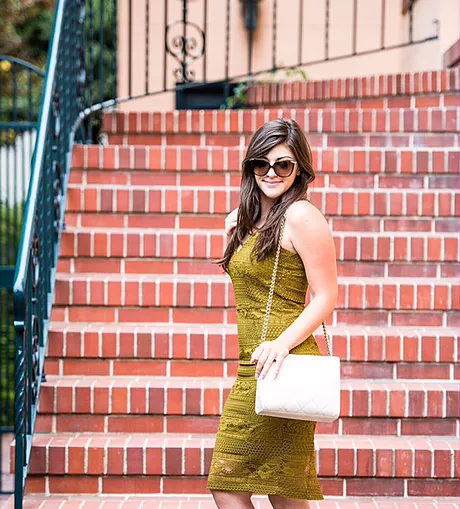 Today I paired a greenish, yellow lace dress (in case you can’t tell, I love lace) with a quilted beige Katespade crossbody. This crossbody is awesome because you can wear it with the chain, or double up the chain and wear it as a shorter bag. 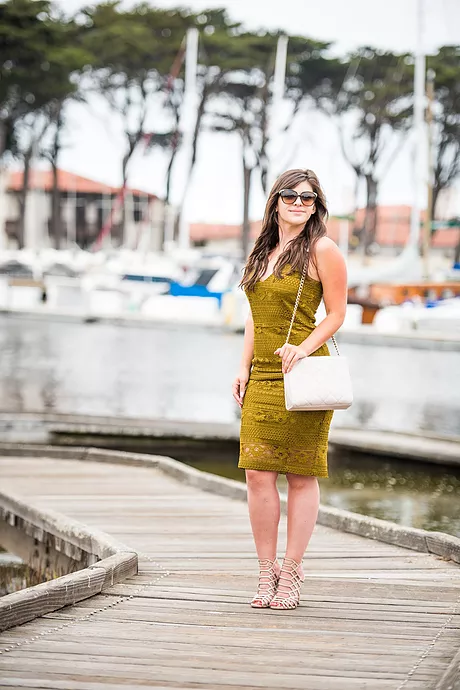 The dress is actually a size 6, which normally I wear a size 4, but the lace made it a little smaller and H&M does tend to run a little smaller as well. However, I am obsessed with this dress, I love the length and it has a nice stretchy material. I paired the look with the cream caged heels previously worn in another post. These are just so comfortable and perfect for pretty much any look. 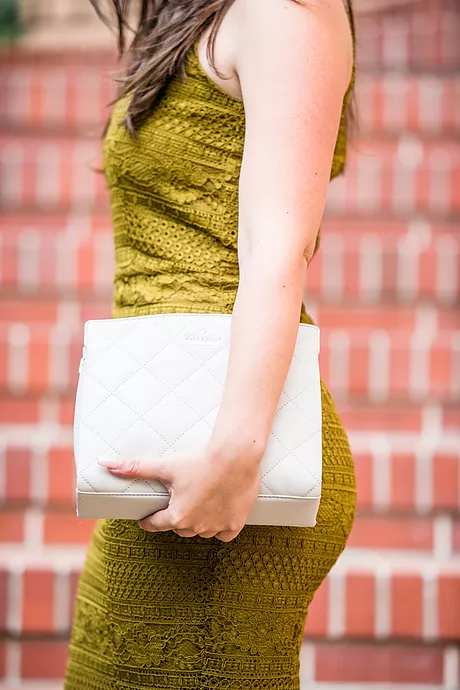 This look is great for a wedding, brunch, date, anything of that sort!